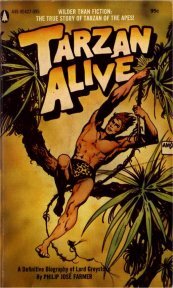 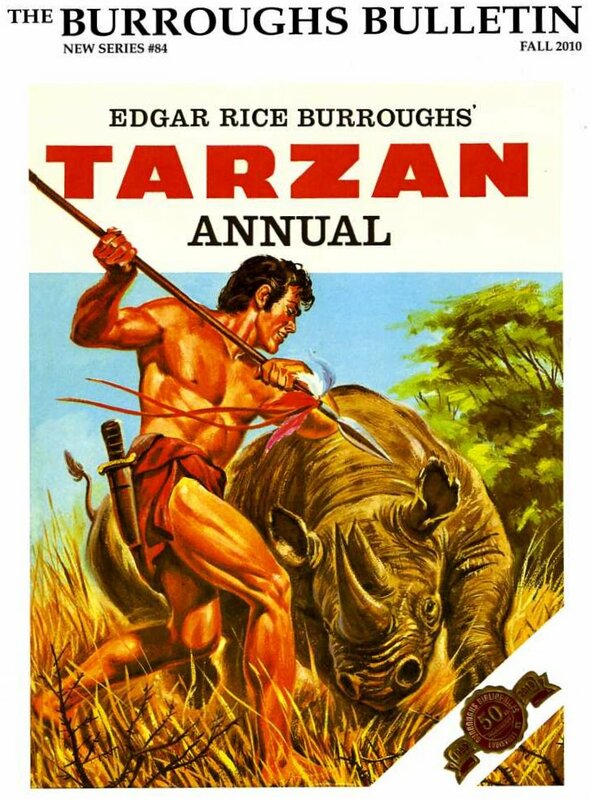 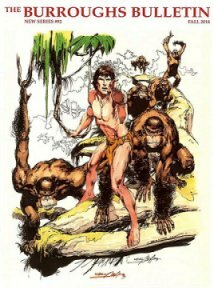 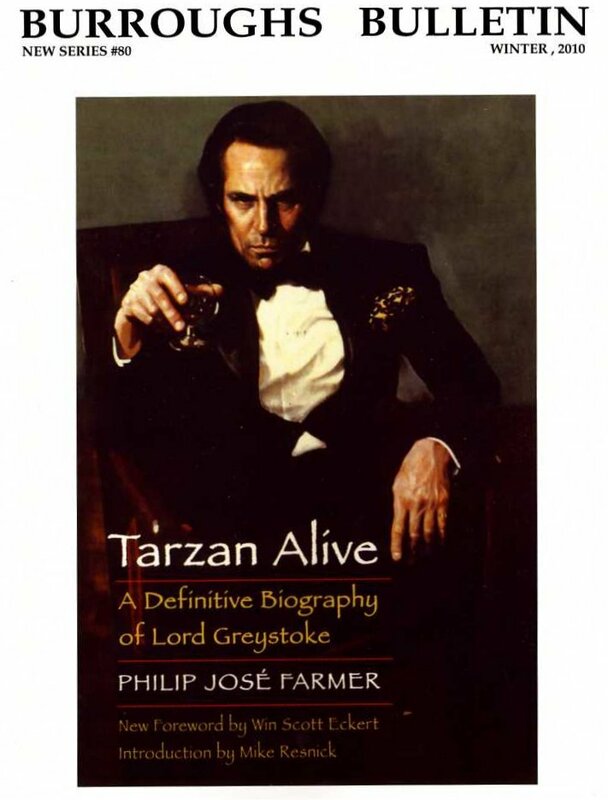 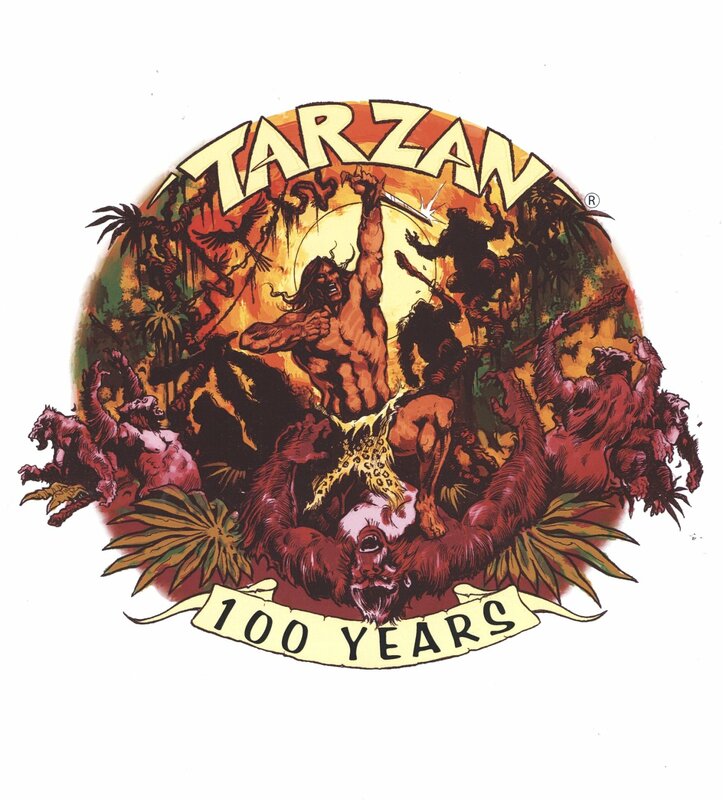 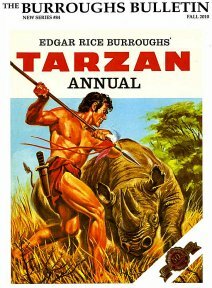 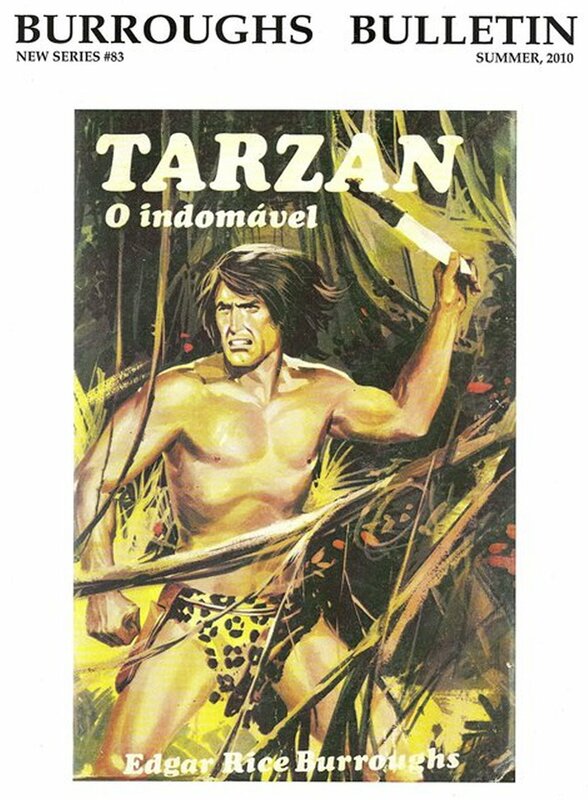 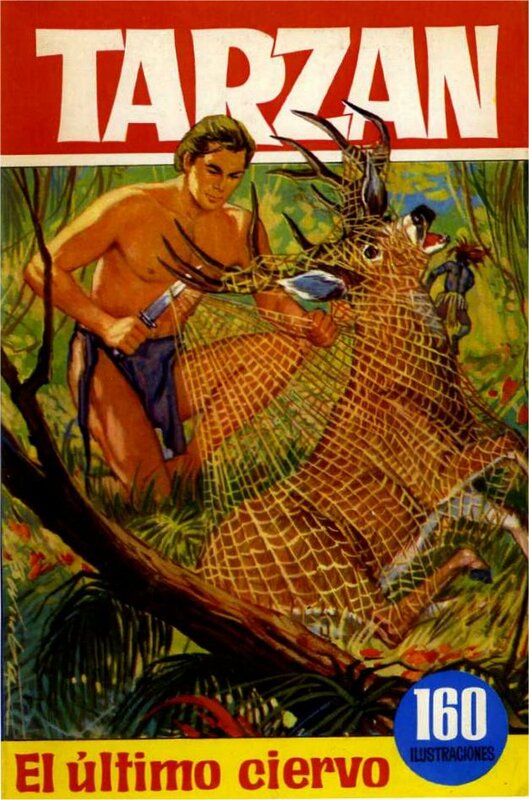 Tarzan Alive: Popular Library 1973 cover art by Richard Amsel . 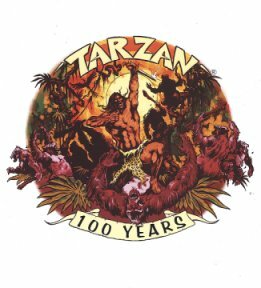 Letters: Dennis Larson, Suzanne Henry Chase, Bart Plantega, Jerry Fisher, Jack Bender, Kim Neidigh, Yuri Mironets. 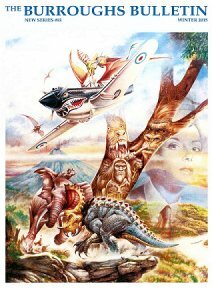 Poster: The Asylum film poster for The Land That Time Forgot . 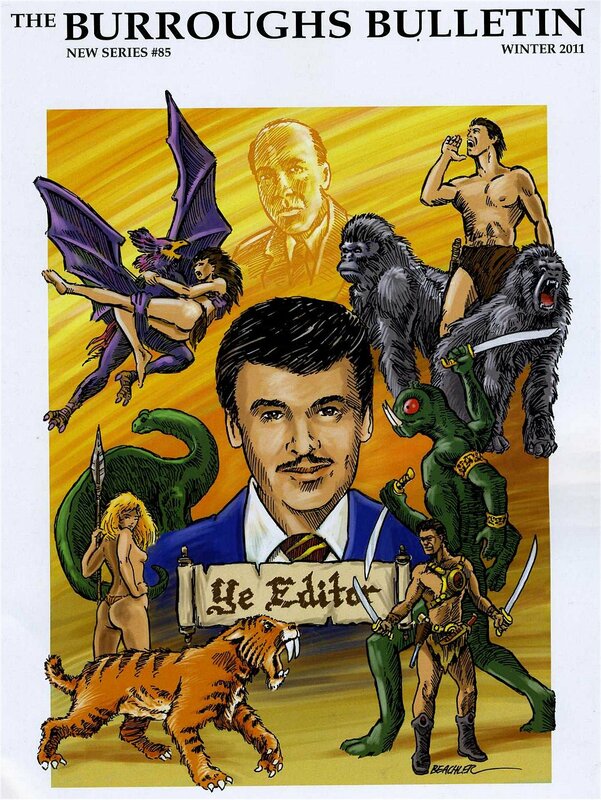 I regret to report that this is my last issue of The Burroughs Bulletin as editor. 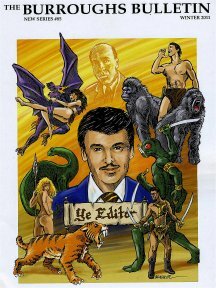 My twenty-year stint as editor has enriched my life considerably, and the list of friends made along the way is awesome. But I shall not withdraw completely from the production end of The Burroughs Bulletin and will continue to provide formatting, graphics, and mailing of the magazine. 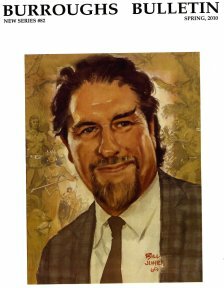 Henry G. Franke III will become our new editor with BB#83, and we have been working together to make a smooth transition without bumps. The Chairman of the Burrougths Bibliophiles Board, Laurence Dunn, has written a gracious letter of farewell which is found on page 34. 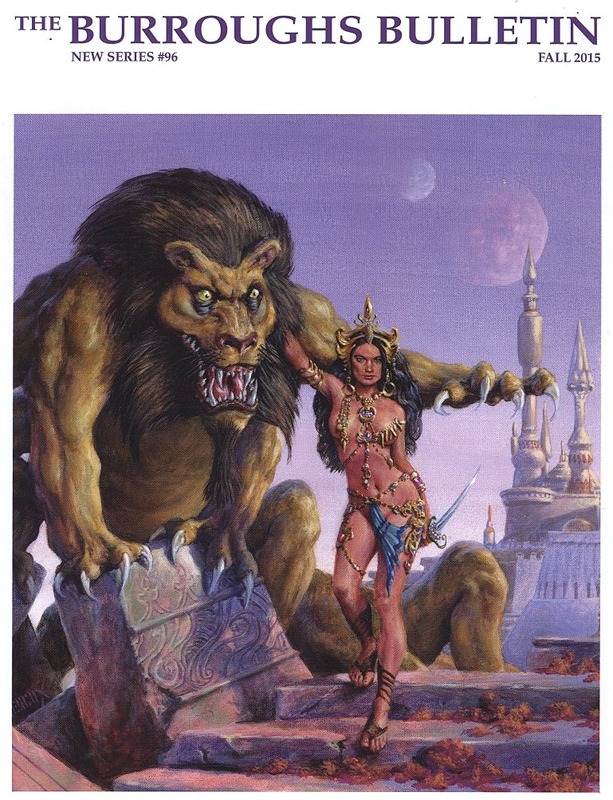 Thank you, Laurence, for your kind words! 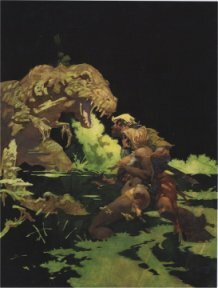 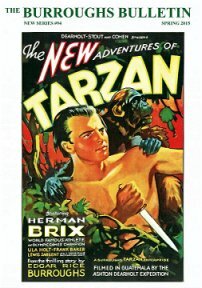 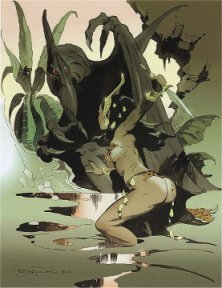 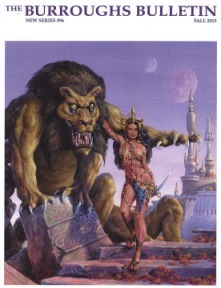 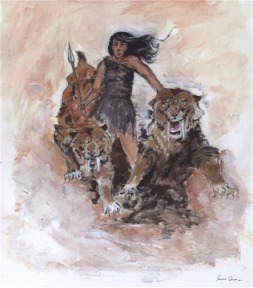 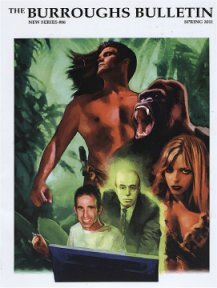 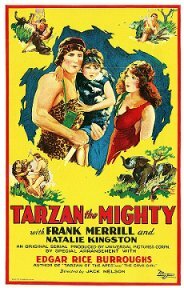 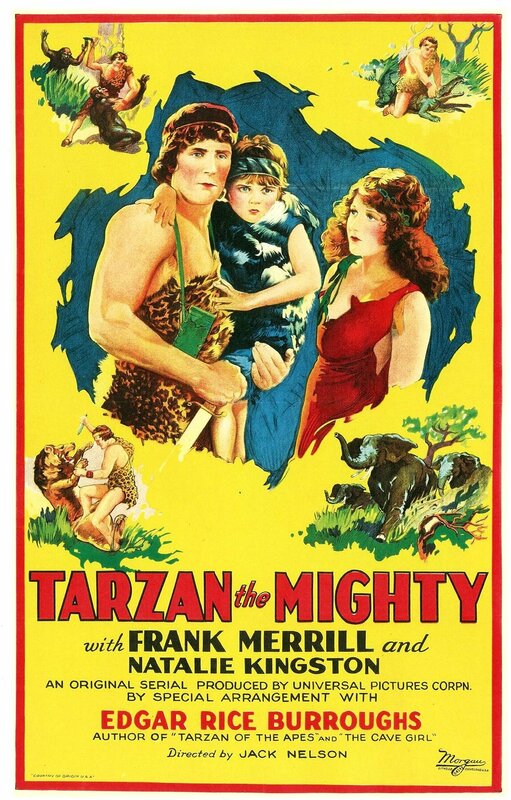 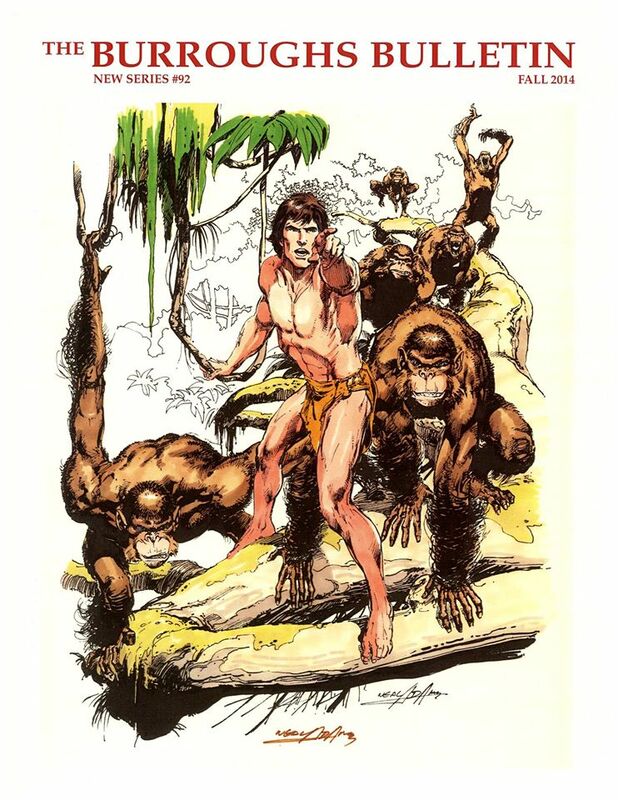 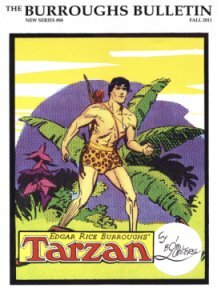 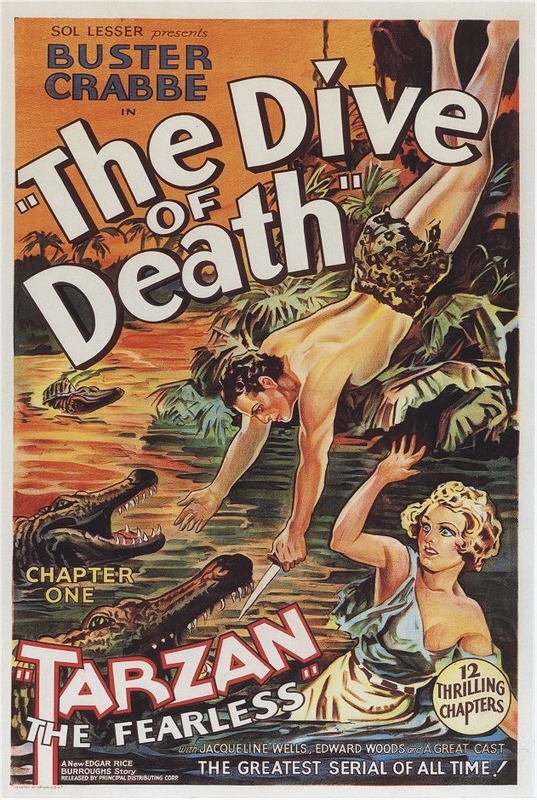 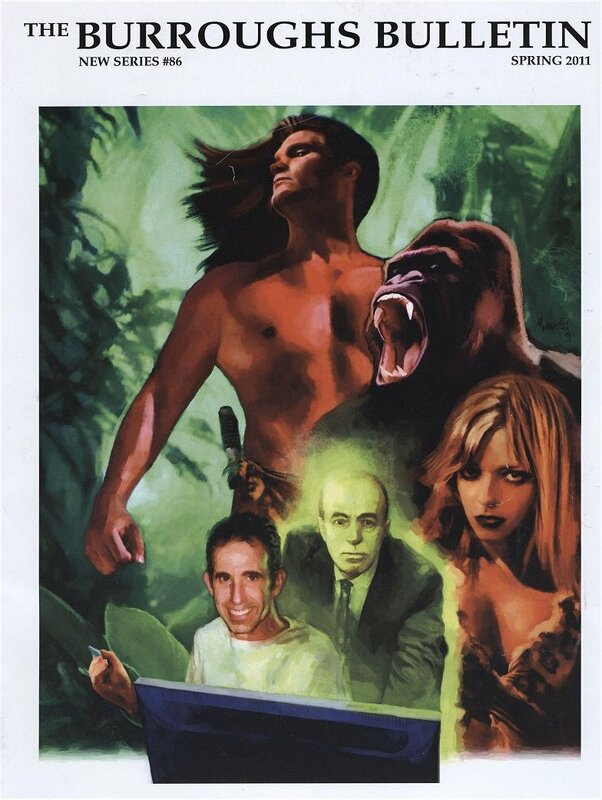 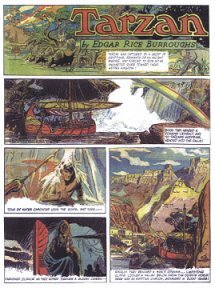 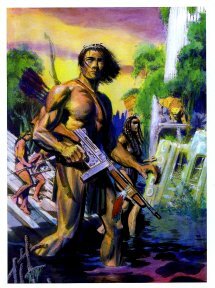 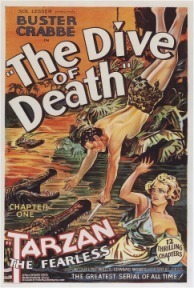 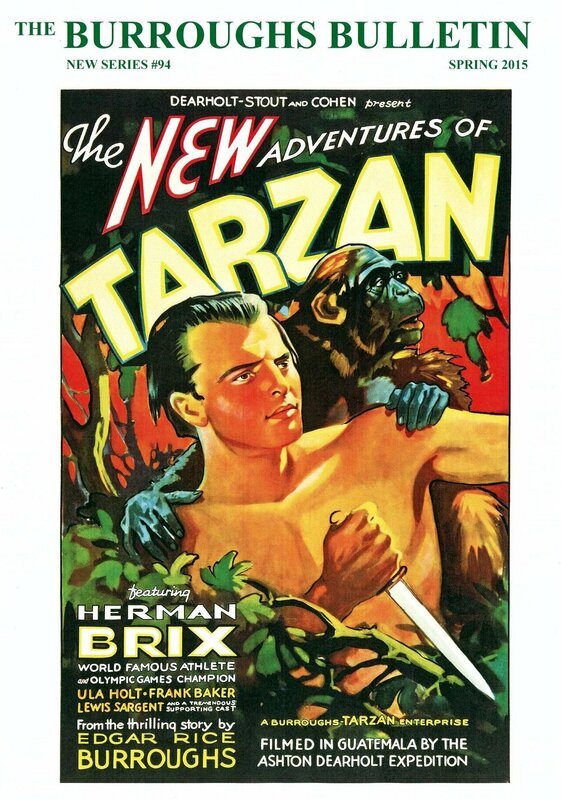 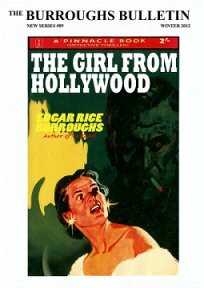 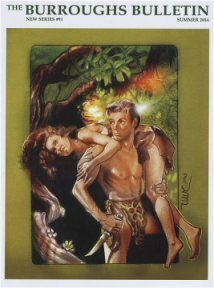 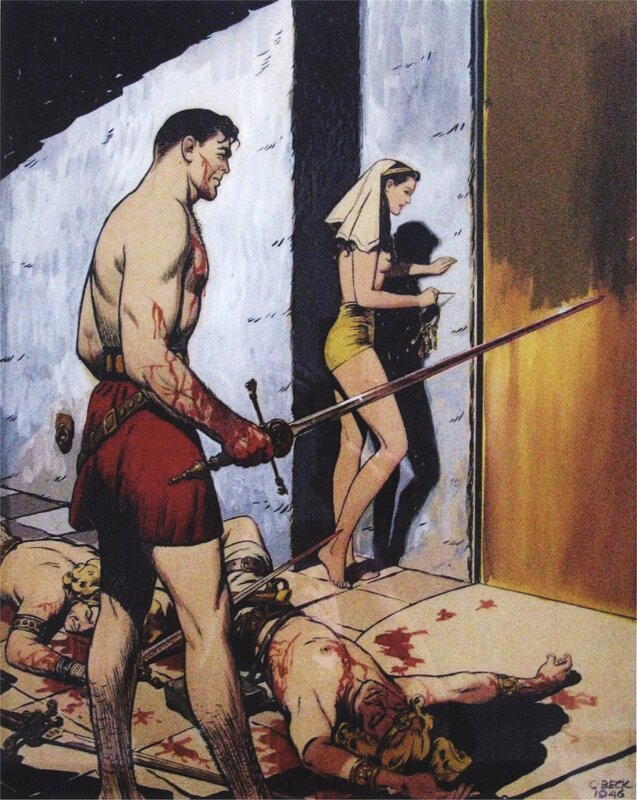 Meanwhile, I exit on an upbeat in the Burroughs universe, with new films, books, and artwork testifying to the permanent establishment of Edgar Rice Burroughs as a major literary figure on the international scene. 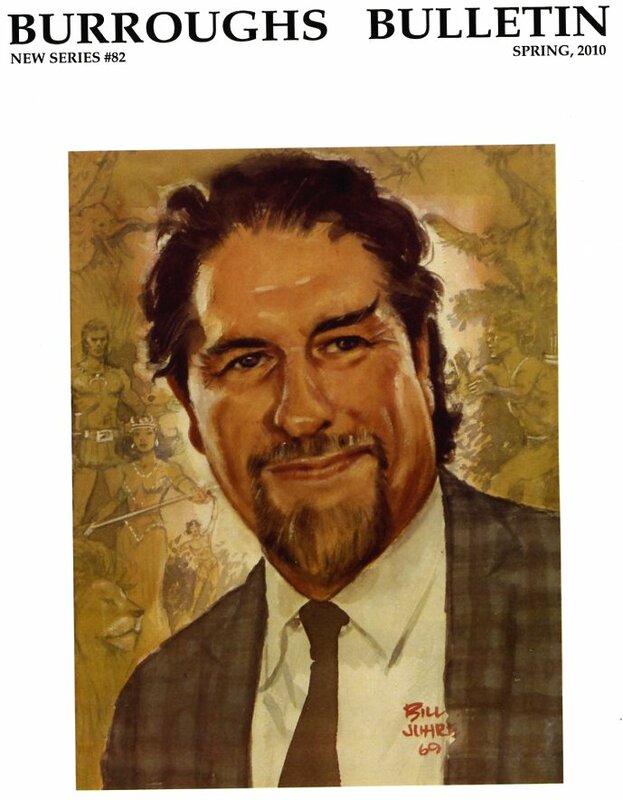 Fifty years ago I wasn't sure the recognition would come, but now I know it is fact. Picture Gallery: Thark Warrior by William Stout, 1998. Illustrations: 2 QSL cards ~ Yutaka Tanaka photo (1988) ~ Japanese Covers: Synthetic Men of Mars (May 1968, cover art by Motoichiro Takebe) ~ The Mucker (Hidden Island of the South Sea) (July 1980, art: HIsao Saito) ~ Tarzan the Terrible (King) (November 1972, art: Motoichiro Takebe) ~ The Return of the Mucker (Mexico, Unsettled) (September 1980, art: Hisao Saito). 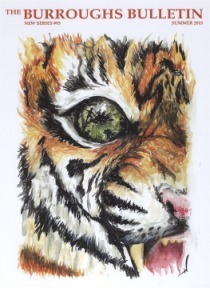 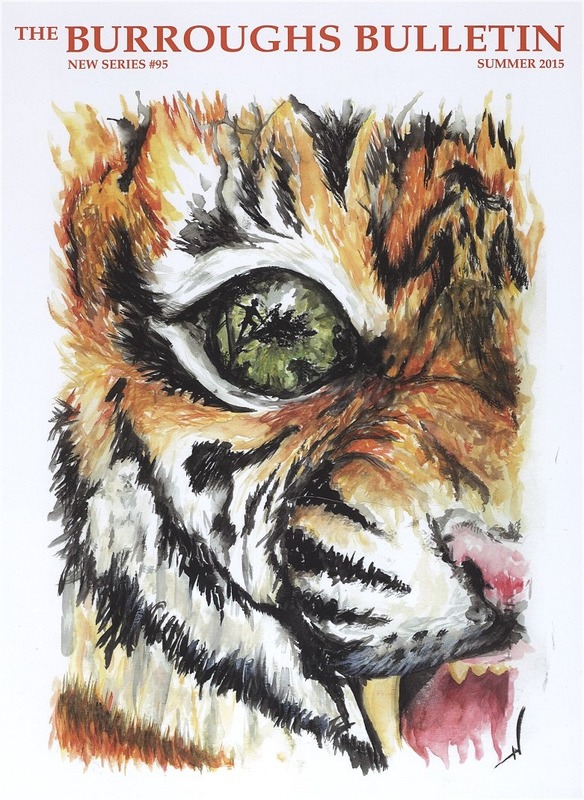 Illustrations: Photos: Fred Butler, H.E. 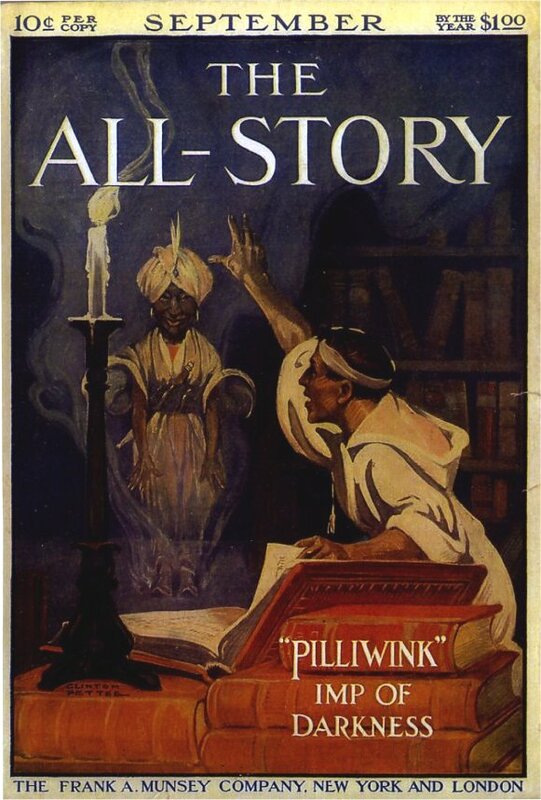 Jonkers and Ph. 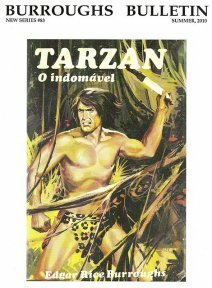 J. Zwaan ~ Tarzan of the Apes, Dutch first edition cover, 1920 ~ Tarzan and the Forbidden City, West-Friedland pb White Raven cover, 1968, cover art by Rudy van Giffen ~ Tarzan and the Golden Lion cover, West-Friesland, Tarzan of the Apes cover, Blankwaardt & Schoonhoven ~ Tarzan of the Apes, De Graauw, late '30s, ~ Info Chart for 22 White Raven Tarzan books: covers, series, Dutch and English titles, Dates, Print Run. 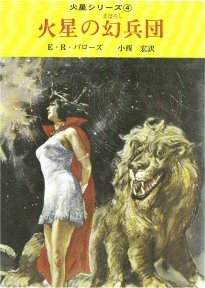 Eight Barsoom maps: ERB, Lowell, NASA with Dee superimpositions ~ Cover: Princess of Mars (Japan, 1967, Takuya Endo cover art) ~ Photo: The Mars rover "Spirit". 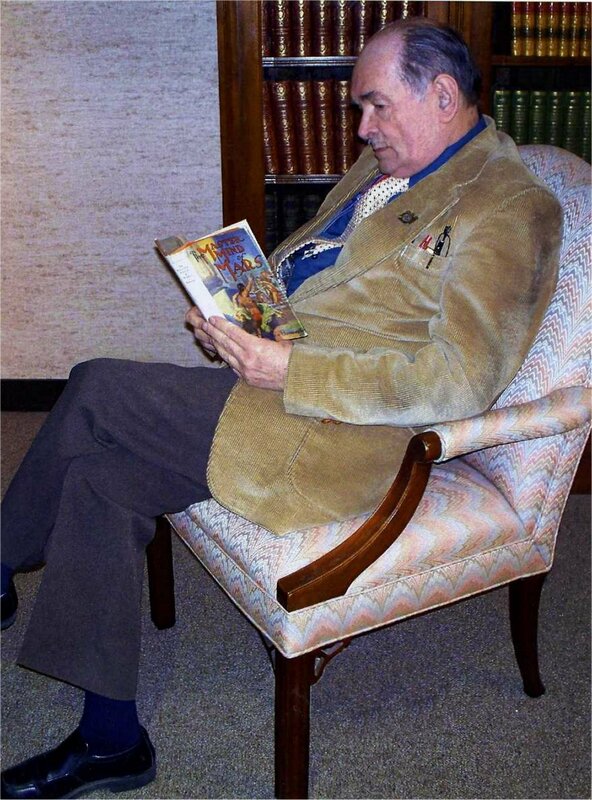 Photo: Lee Chase holding The Master Mind of Mars ~ ERB's dedication page to Florence from 1939 ~ Front and back covers with art by G.P. Micklewright. 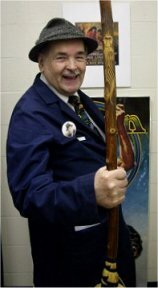 Poster: 2010 Dum-Dum logo (art by Tom Floyd) ~ Map: Billy Byrn's hood on Chicago's great West side 1914 ~ Photos: Founding members of the Muckers ~ ERB plaque at former residence 700 Linden Ave., Oak Park ~ ERB's 414 Augusta St., Oak Park, residence (1914-1917). 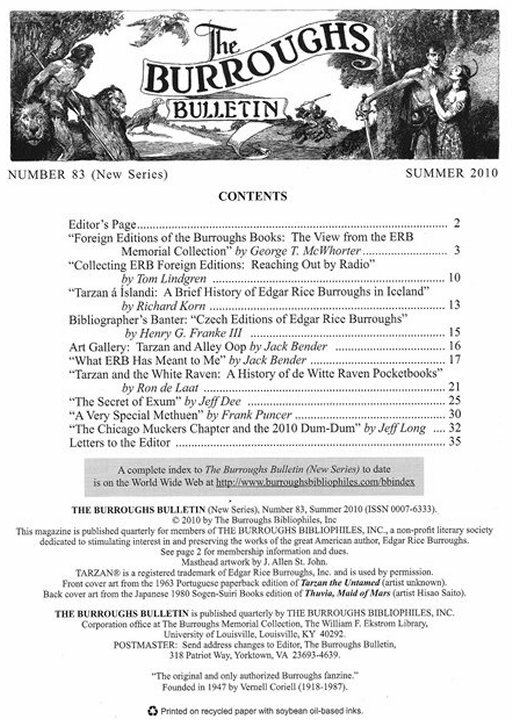 This issue of the Bulletin is dedicated to George T. McWhorter, the person who reinvigorated The Burroughs Bibliophiles in 1990 when he restarted The Burroughs Bulletin as a quarterly journal (hence the appellation of "New Series") and The Gridley Wave as a monthly newsletter. He maintained a regular publication schedule for 20 years, with 82 issues of the Bulletin and 245 issues of The Gridley Wave. 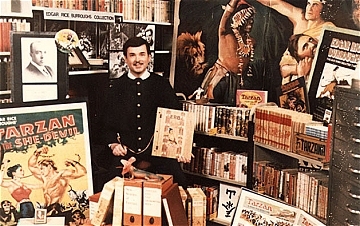 As curator of Rare Books and then the ERB Memorial Collection at the University of Louisville since 1972, George is now world-renowned as an expert on Burroughs. 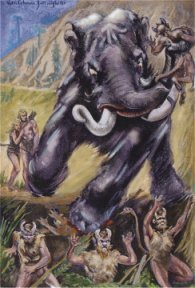 "Old White bore down upon the bison-men." 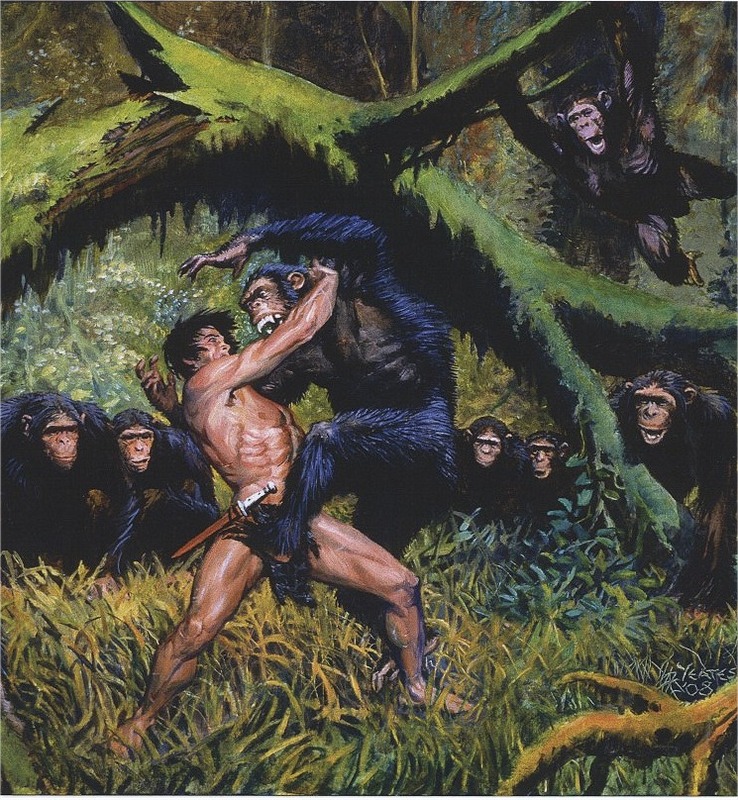 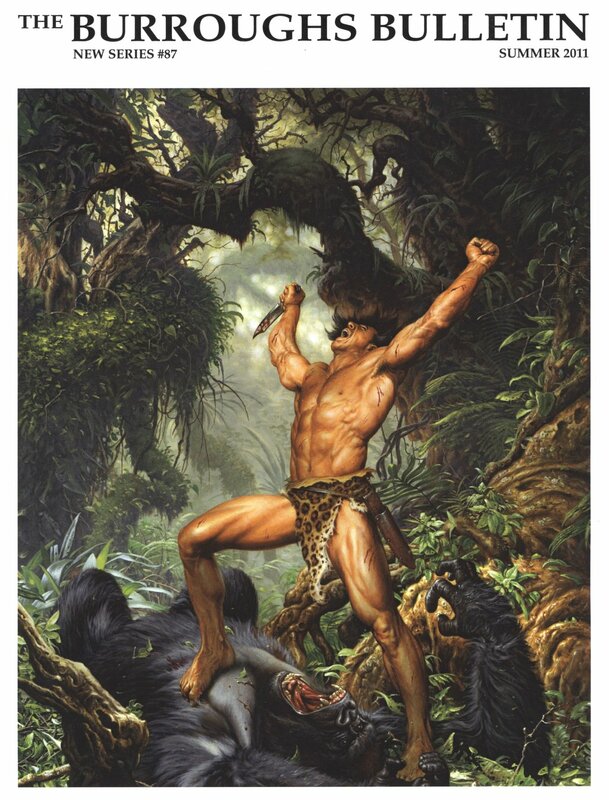 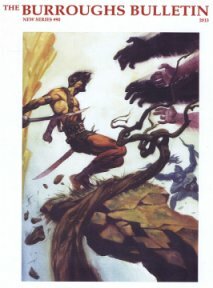 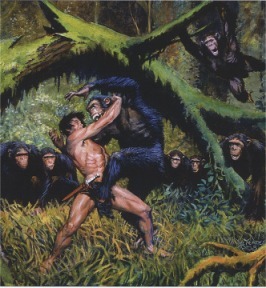 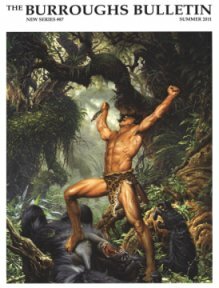 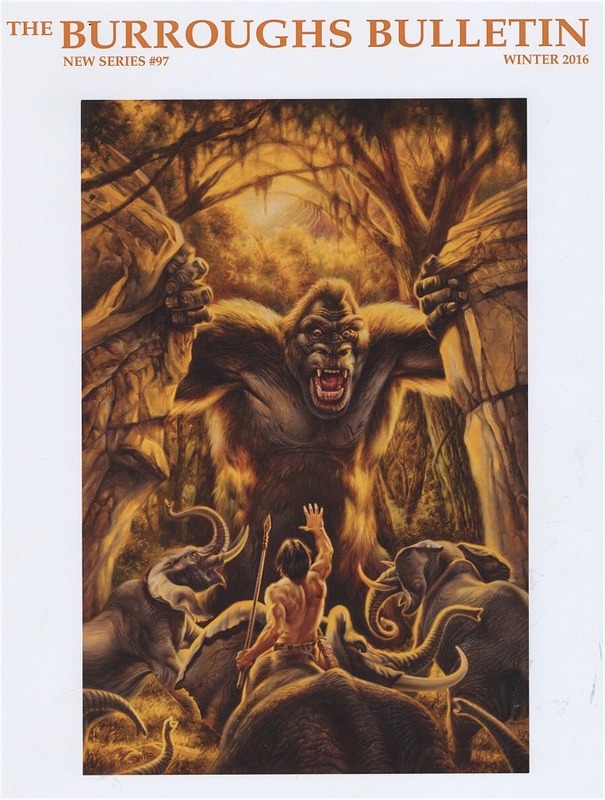 Cover: Kong vs Tarzan by Joe DeVito ~ Back: Thomas Yeates' "Duel for Dominance"
Readers are encouraged to submit articles about these titles for forthcoming issues. 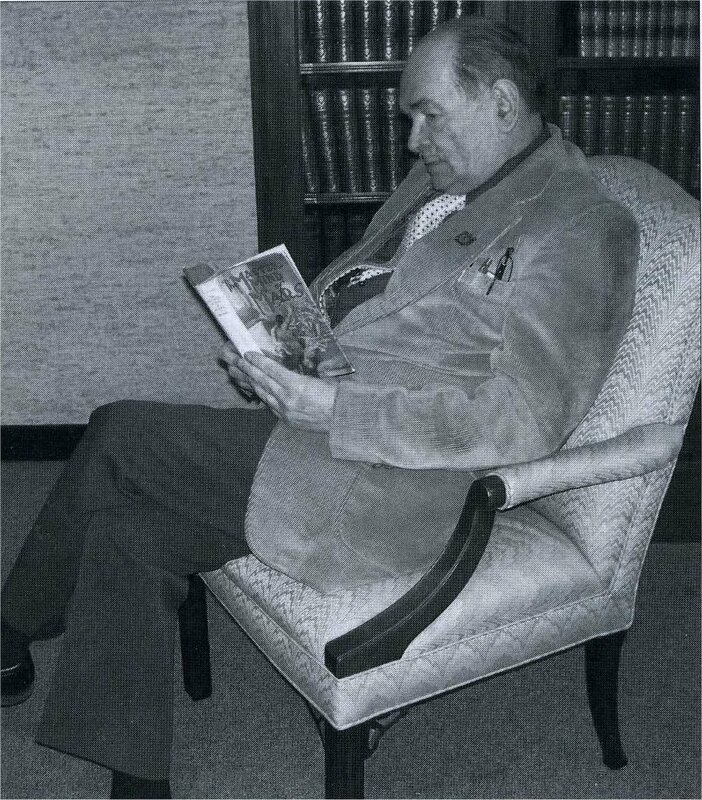 archive of Burroughs materials in the world. 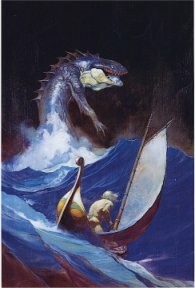 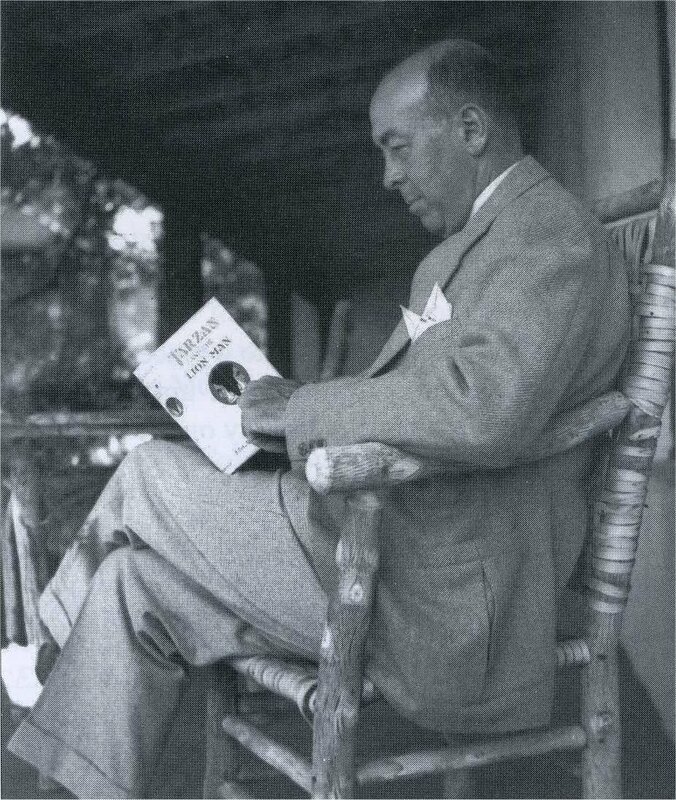 the works of the great American author, Edgar Rice Burroughs (1875-1950). 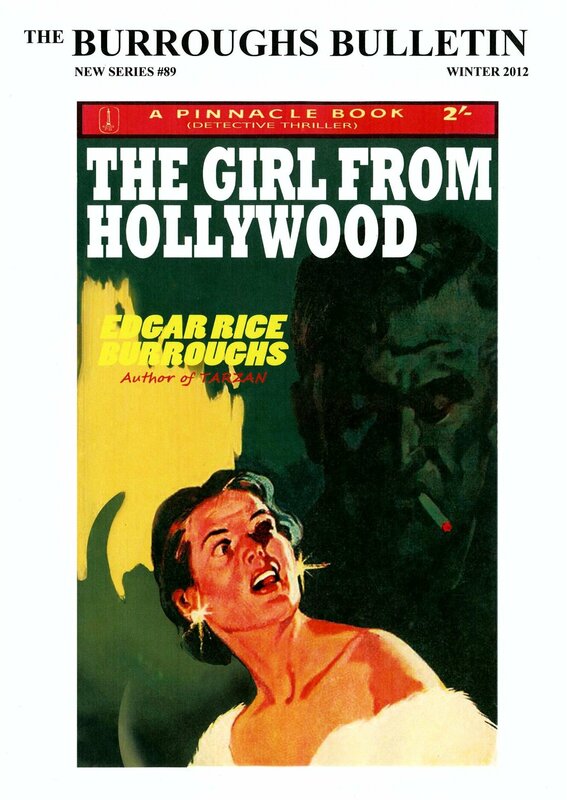 All material is copyrighted by the Burroughs Bibliophiles. 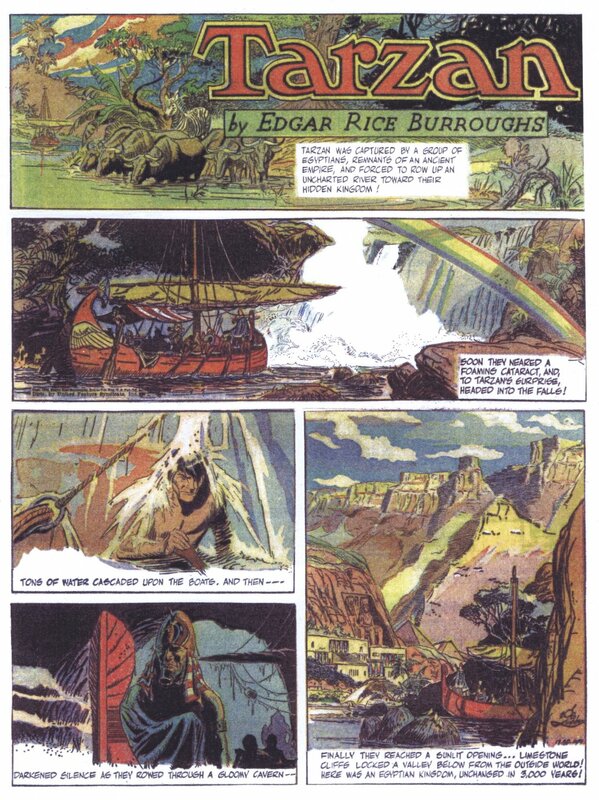 Nothing may be reprinted in whole or in part without permission from the publisher.